Hessian or burlap, is a woven fabric usually made from skin of the jute plant or sisal fibres or flax fibres or hemp fibres, or may be combined with other vegetable fibres to make rope, nets and similar products. On top of that, hessian cloth is often used to make sacks and bags to ship goods like coffee beans; these can be described as gunny sacks. It is breathable and thus resists condensation and associated spoilage of the contents. It is also durable enough to withstand rough handling in transit; these properties have also led to its use for temporary protection as wet covering to prevent rapid moisture loss in setting of cement and concrete by the construction industry. 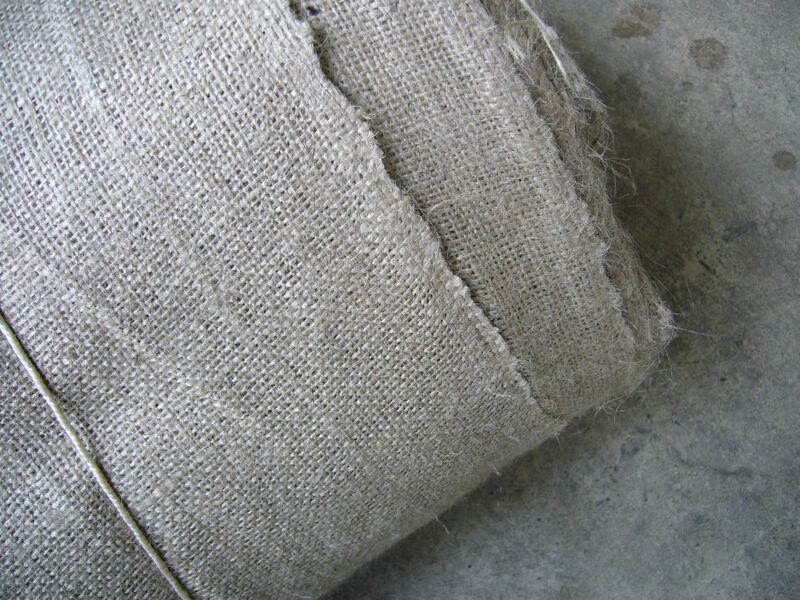 Hessian is also commonly used for making sandbags. A gunny sack, often also called burlap sack or burlap bag, is an inexpensive bag made of burlap fabric. Gunny sacks are traditionally used for transporting grains, potatoes, and other agricultural products. Today they are also sometimes used as sandbags for erosion control. They are usually made from jute or other natural fibres. Because gunny sacks are made from natural fibres, some consider them to be environmentally friendly. They are non-carcinogenic and non-toxic. High breathability allows air to pass through them, which helps packaged grains or other agricultural commodities stay fresh. Sacks made from jute, hemp and kenaf fiber have high tensile strength. As a result, piling sacks one on top of the other does not tear or distort the yarn of the lowest residing sacks in the pile. 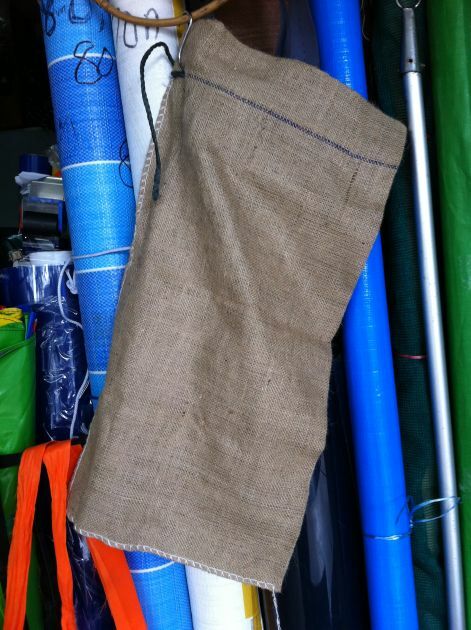 Our company distributes both the burlap / hessian fabric and has the capacity to make gunny sacks to the required sizes. The standard width of the burlap fabric is 115cm width, 100 yards per roll, every roll typically weighs around 35kg. 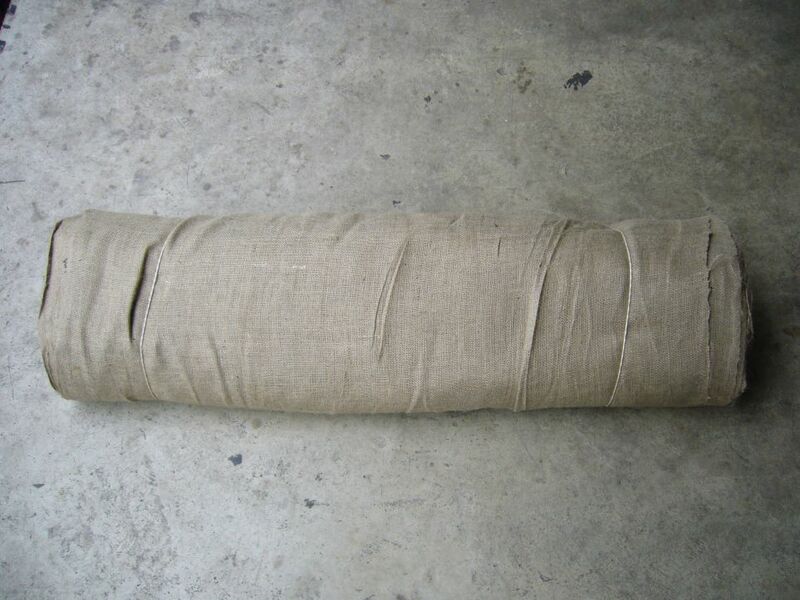 We also have ready stock for standard sized sandbags which is 14 inches wide by 27 inches long. The burlap / hessian fabric is often used on board the ship to lay on slippery surfaces for example floors laden with engine oil or wet decks to make the surfece less slippery as well as to soak up some of the unwanted liquids. The gunny sacks are widely used in construction to make sandbags as deadweights, to prevent flooding in a certain area, or to contain buiding materials or bolts and screws for easy transporatation and storage.